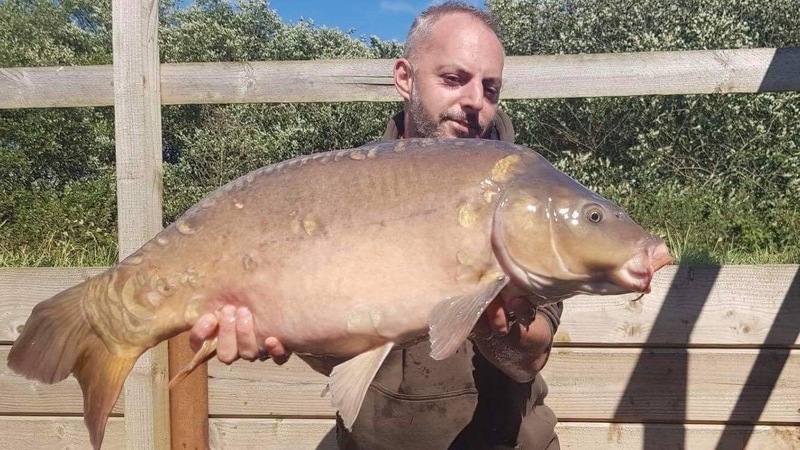 Colin Balment fished the Dam wall on Lodge lake banking eleven carp up to 21lb 6oz all caught on Mainline Cell and prototype crab and krill boilies. 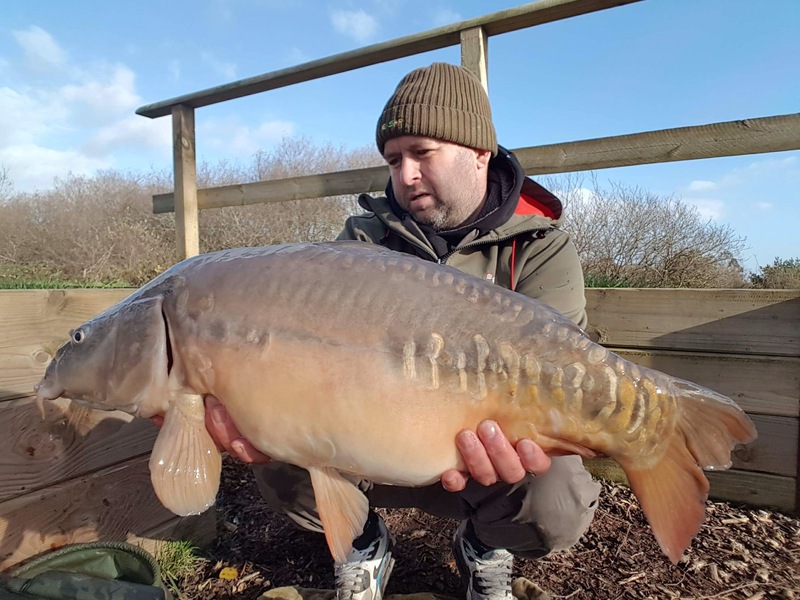 Darren Rundle from Lanivet, Bodmin fished a one day session on Stafford Moors Lodge Lake to bank three fabulous carp fish using 20mm Sticky Baits Manilla Boilies. 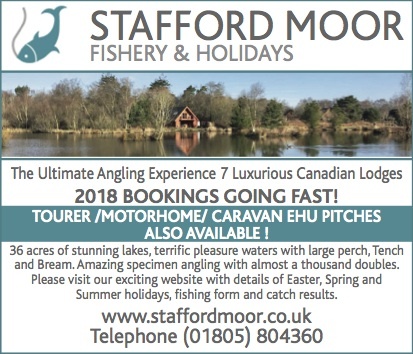 The mild conditions have really brought the carp on the feed at Stafford Moor where anglers are enjoying success on both Beatties and recently reopened Lodge Lake. 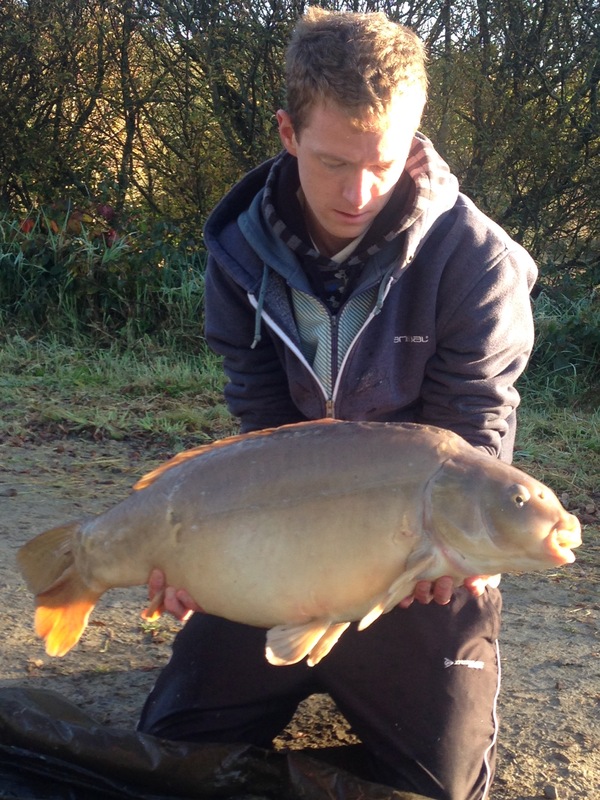 (Above)Jack Lord with his 25lb 3oz catch from Beatties lake on the inlet swim using Mainline Cell boilies. 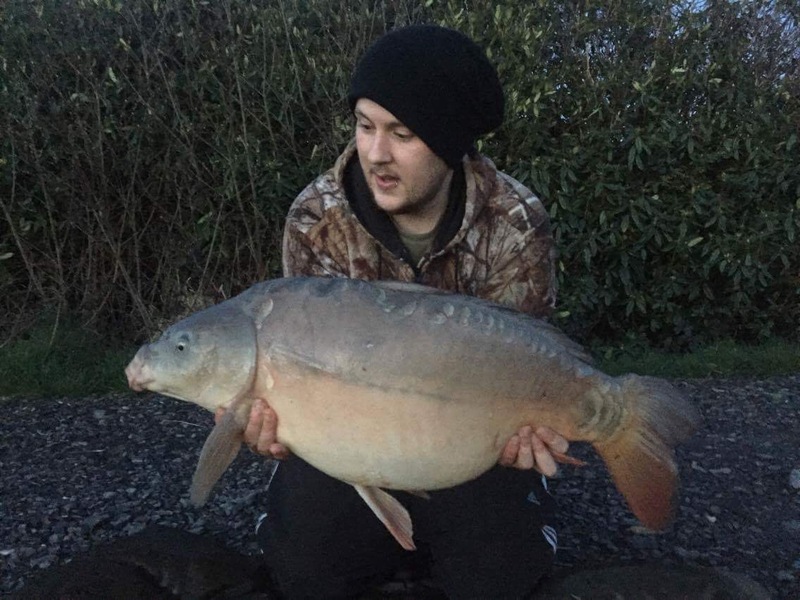 (Above)Matt Luscombe had a new personal best of 27lb 6oz from the dam wall on Beatties Lake Matt had 2 fish out in 24 hours using good old Mainline Cell boilies. 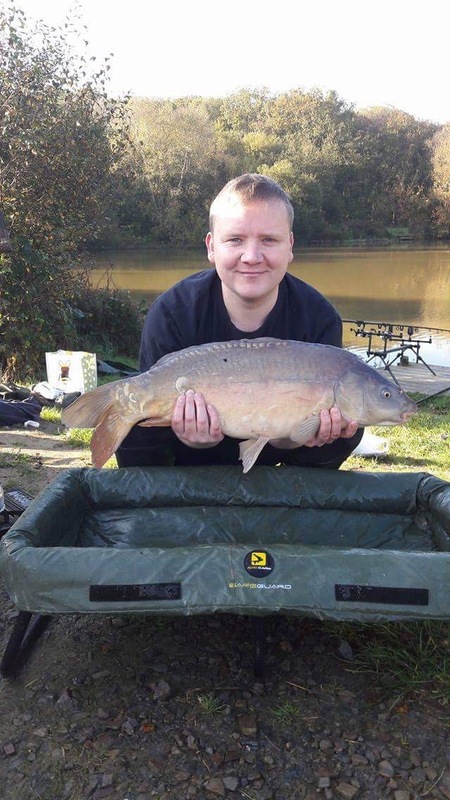 (Above)Simon Jones who comes fishing here with friend Jon Osman. 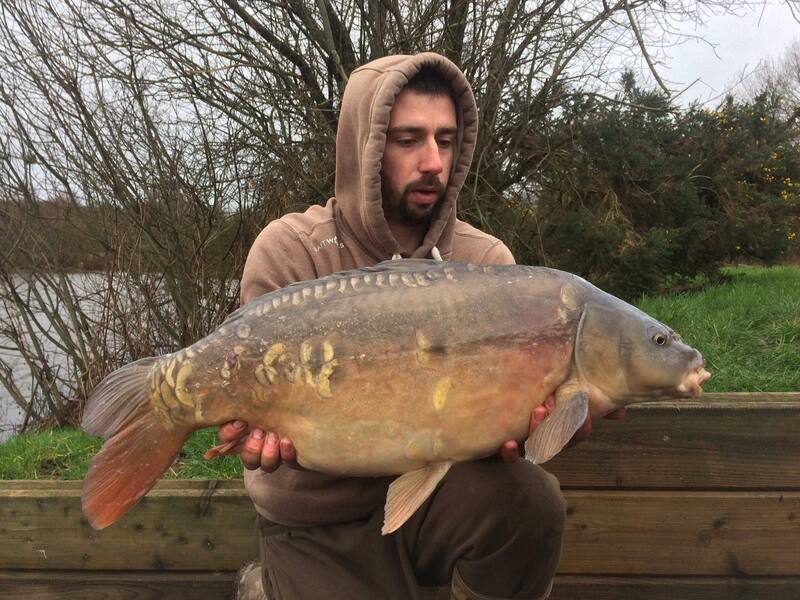 They fished up on the dam wall on lodge lake at the weekend had 6 fish out up to 22lb using Mainline cell pop ups . 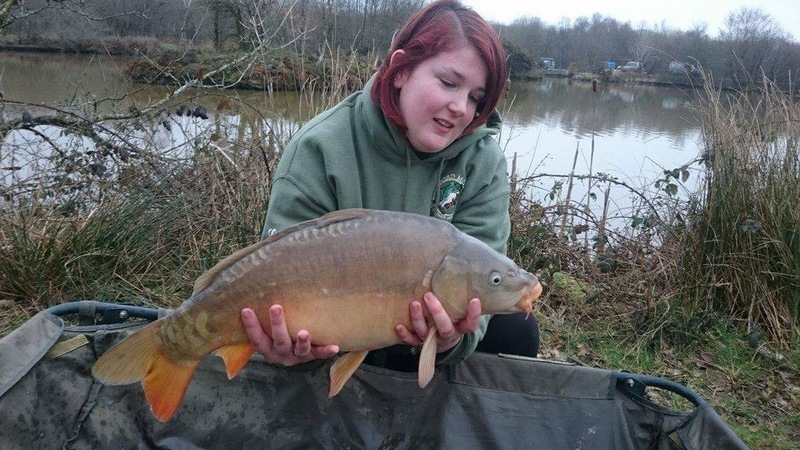 Natasha Harrison with her 11lb catch from the spit on lodge lake using sticky Baits Manila boilies. Natasha had blanked at other fisheries for the last 7 times she has gone fishing so was pleased to just catch even if it wasn’t the biggest she still caught ! 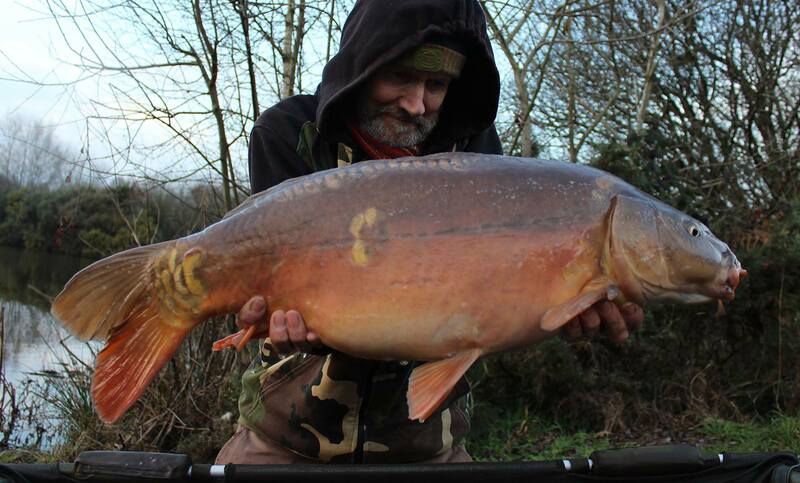 Steve Pinn “The BIvvy Tramp” sent me this report from the recently reopened Lodge Lake. 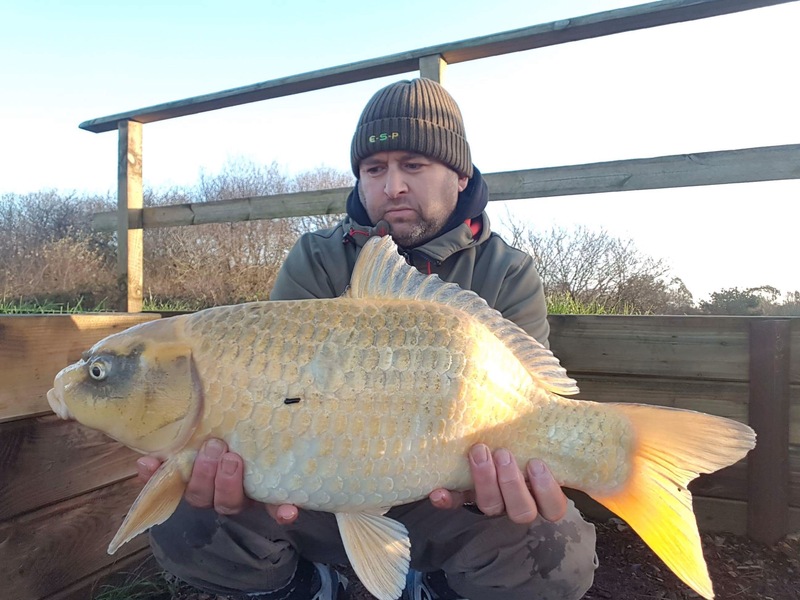 “These are the best of last week’s catches on Lodge lake which has been closed for most of Jan and Feb for maintenance work. 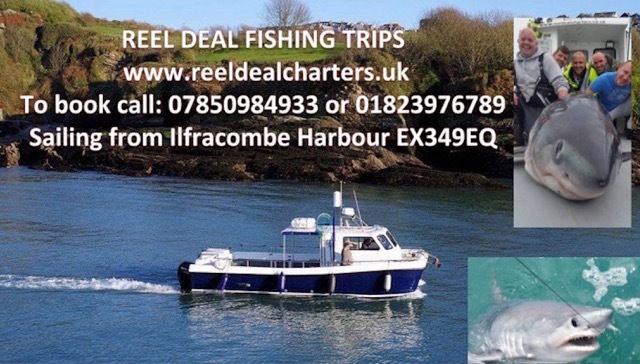 We were rewarded as the first on there for some time with 21 fish between myself and ‘The Captain’ Keith Maker. 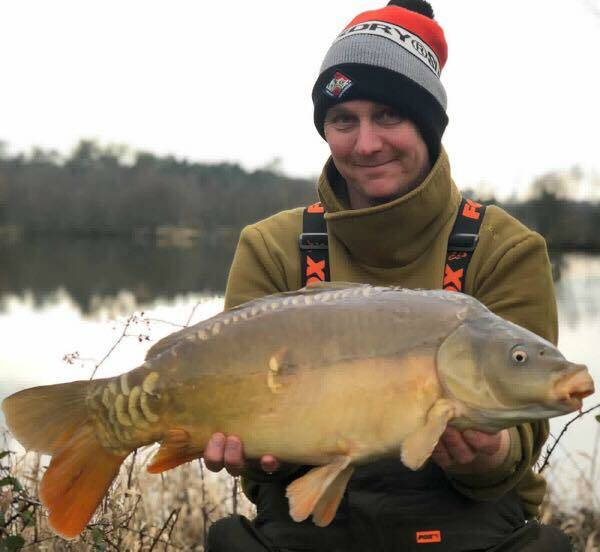 I think Keith had more fish but I was delighted to get a cracking fish for Lodge lake and a pb for that lake at 25Ib 14oz plus the beautiful ‘apple slice’ mirror at 17Ib 4oz – a perfect example of how size doesn’t matter when they are that attractive. 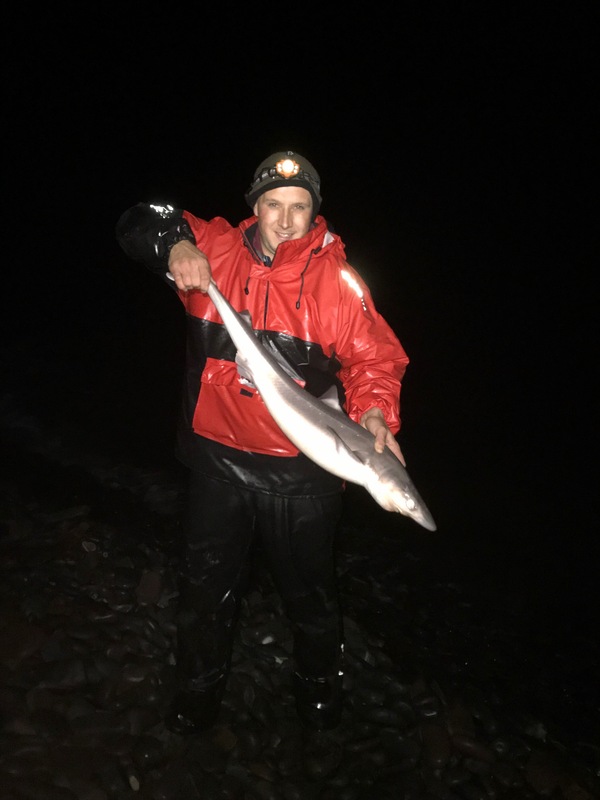 I also caught the scaley fish during that wonderful purple dawn. Bivvy Tramp. 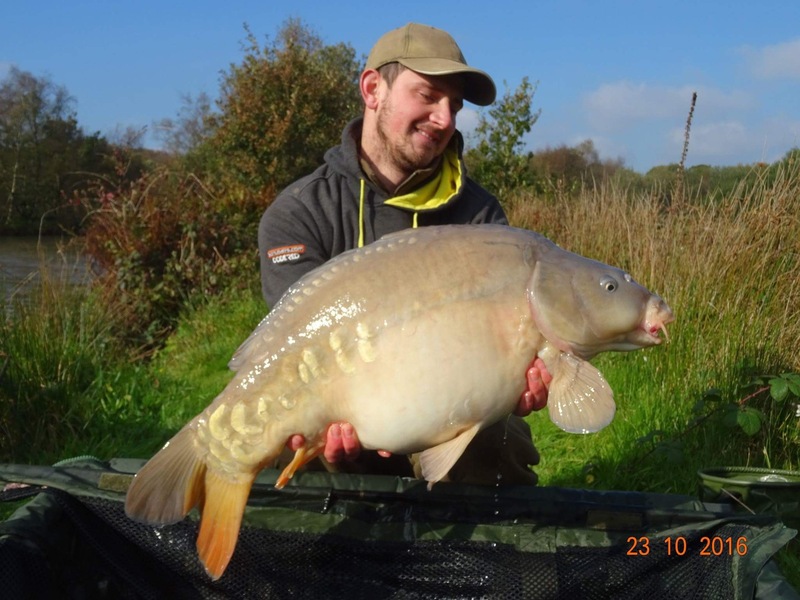 Lodge Lake success for the Bivvy Tramp! 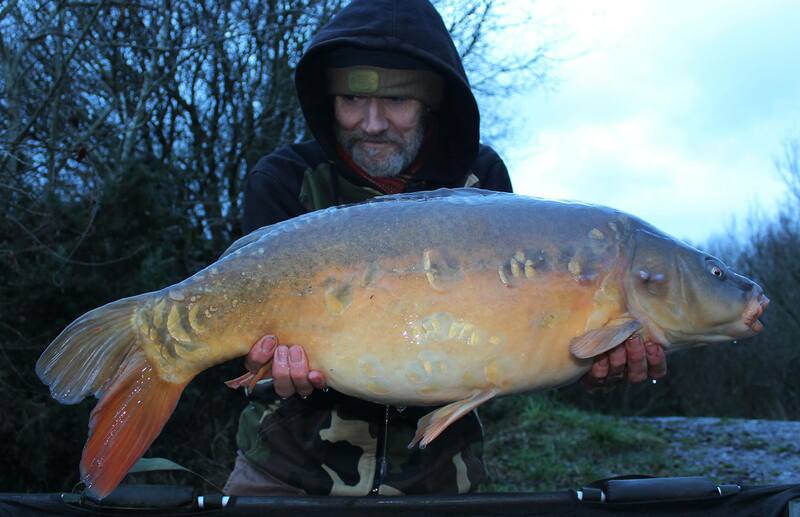 Steve Pinn affectionately known by his mates as the bivvy tramp enjoyed more success on Stafford Moor’s Lodge Lake. 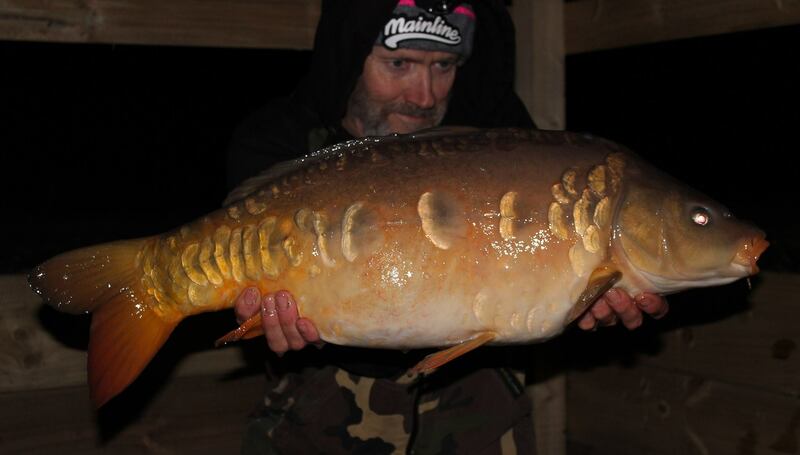 Best of 3 – !8Ib 1oz, the evening after the big thaw on Lodge lake. Used a piece of pepperami ‘firestick’ balanced with half a 12mm pop up and a PVA bag of dead reds in hemp oil. 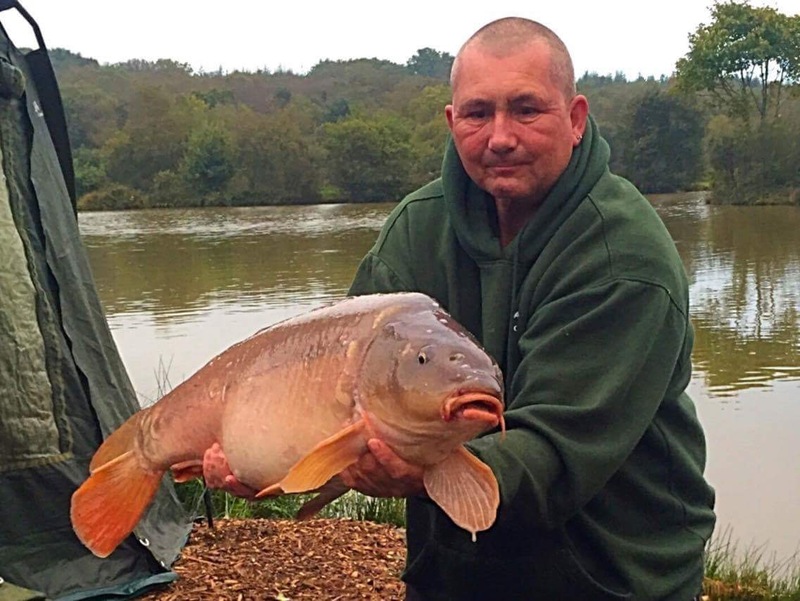 Stuart Hutchings and his dad Brian fished the dam on Lodge lake Stuart was fishing with essential cell crushed in a PVA mesh bag. a 22mm boilies with goo squirted in the centre also using CC Moore northern special as hook bait. 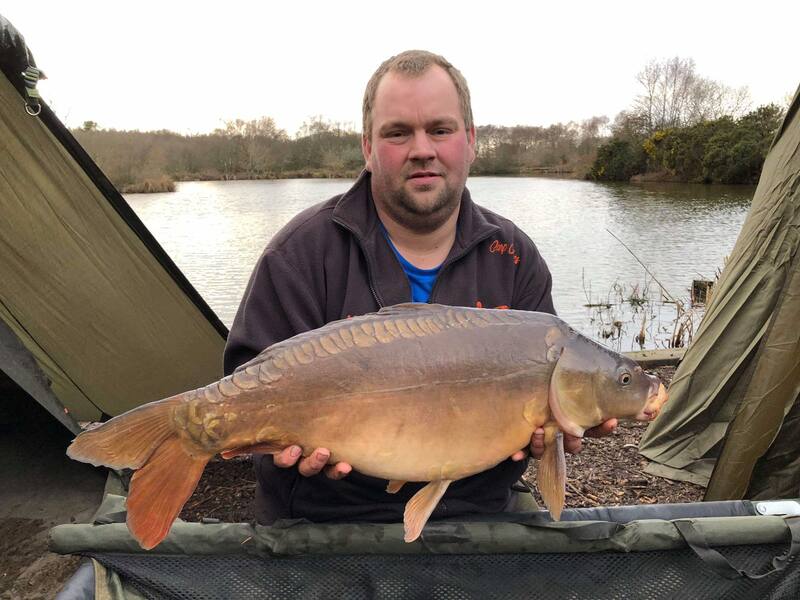 Brian was fishing with Sticky Baits Manilla boilies and Manilla 12mm pop ups , they had 12 fish out up to 19lb 14oz in a day session. When I first read of carp they were considered a fish of the summer months and seldom fished for. 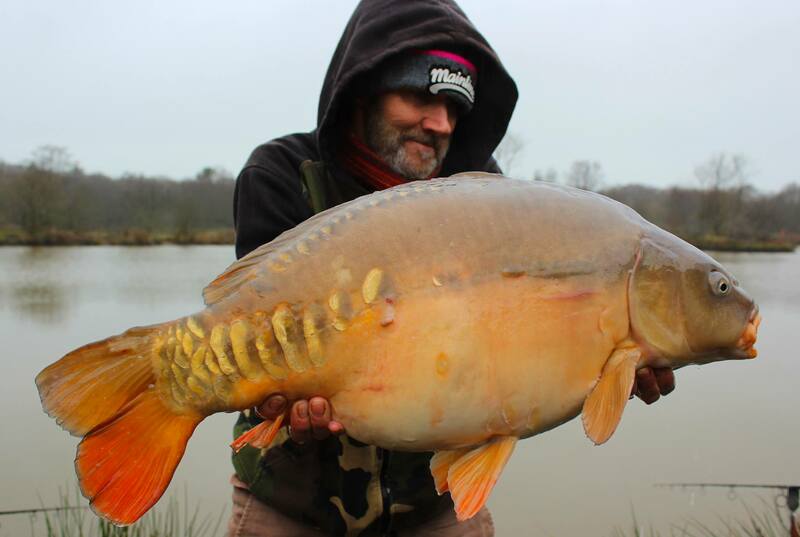 How times have changed with many factors meaning that the carp are caught all year round with many anglers having the ambition of catching a carp in the snow. The lack of winter snow is perhaps one of the factors that ensure we catch carp all year that and the warm clothing and modern bivvys that make winter fishing far more comfortable. 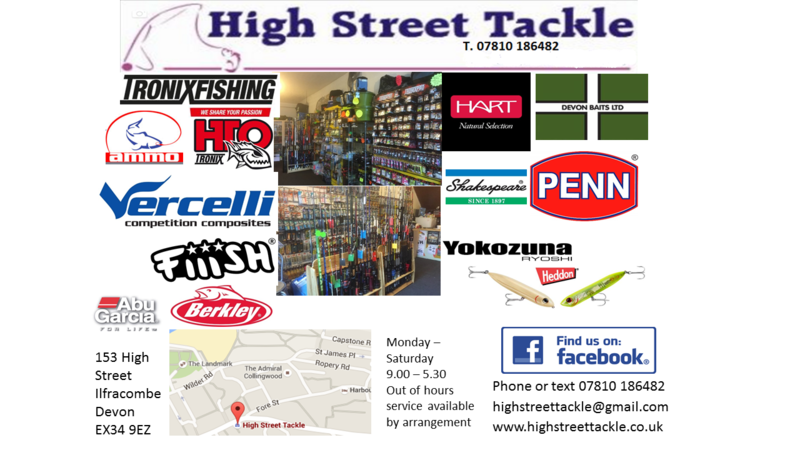 It would be good to get a picture on here of carp in the snow! There’s a challenge!!! 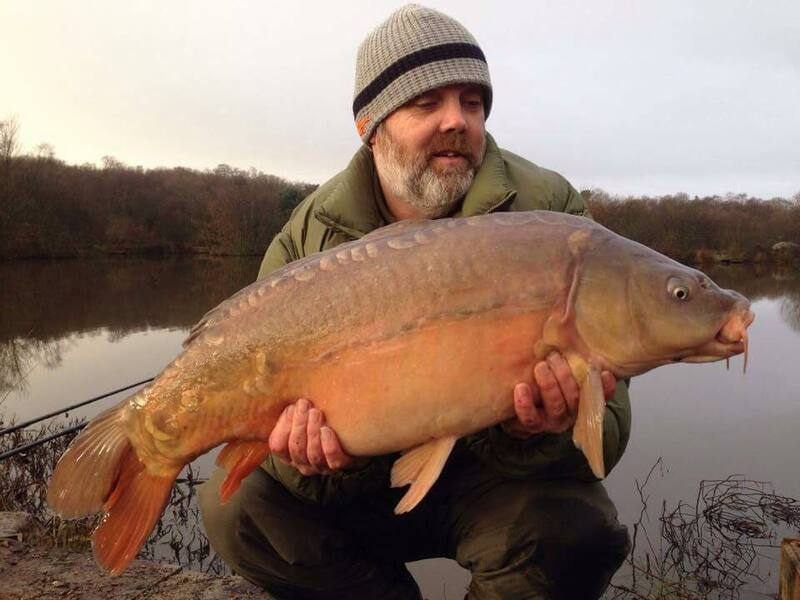 Steve Pinn sent me these superb images of winter carp caught from Stafford Moor’s Lodge lake. 5 fish, not bad for December. 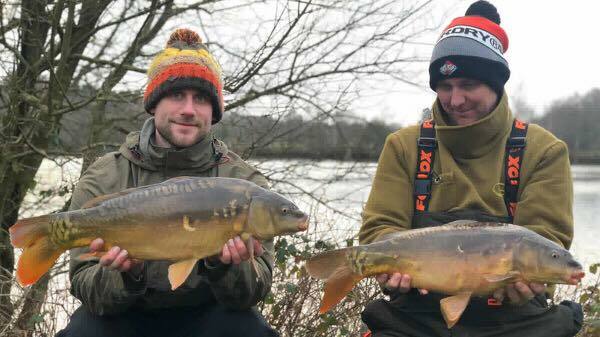 20Ib 12oz (yellow fish) and 17Ib 8oz (orange) – both on CC Moore Northern Special pop ups on a bed of free-by live red maggots. 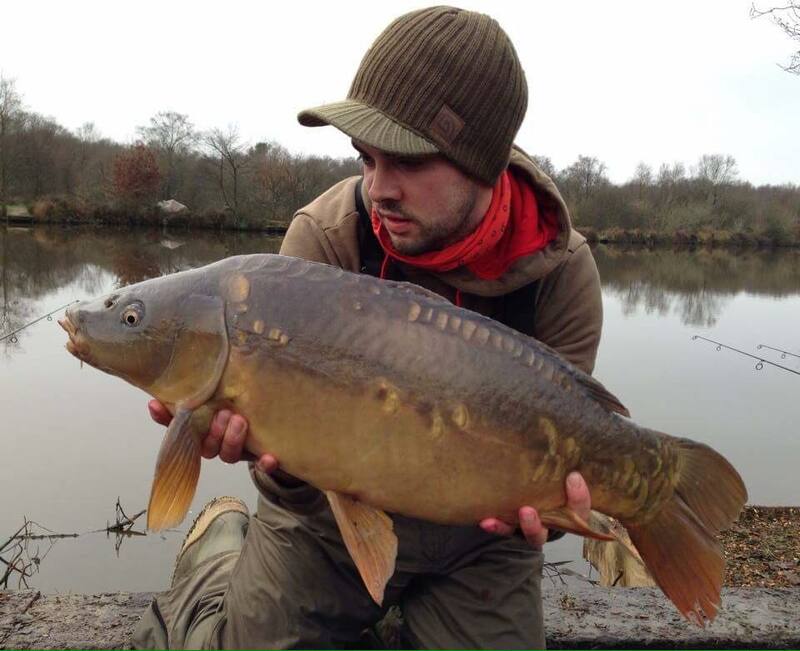 Carp on are continuing to succumb to anglers baits at Stafford Moor despite a drop in temperature . 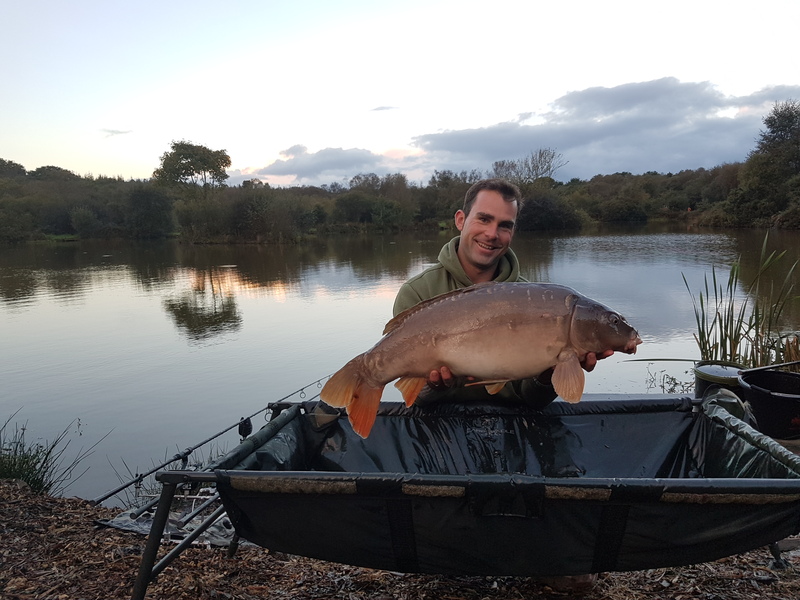 Kriss Kemyan who had a few fish up to 23lb 8oz (shown below ) which is his new personal best up on lodge lake using Mainline cell boilies. 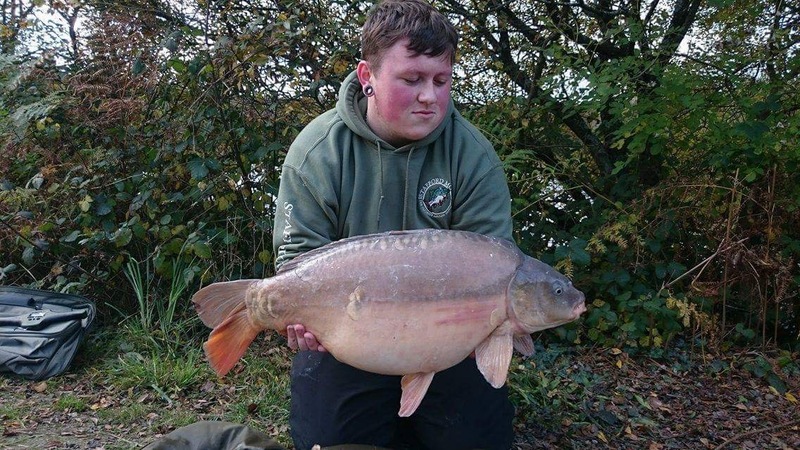 Harry Lord with one of his catches a 21lb 10oz from the dam wall on Lodge lake using mainline cell boilies. 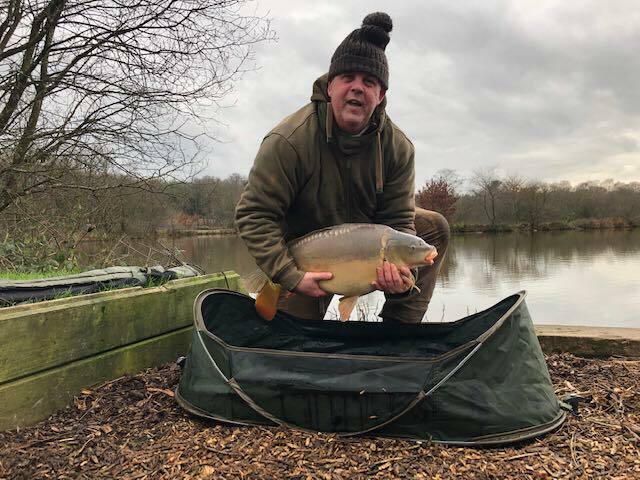 John Westhead returned to angling after a fifteen year break and was delighted with his 17lb 4oz first ever carp caught up on lodge lake using good old mainline cell boilies. 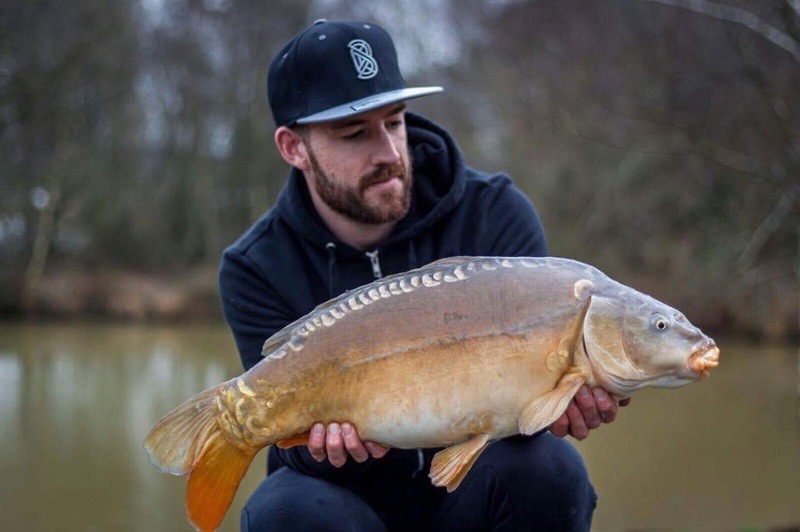 Chris Blythe fished Lodge Lake with his wife Donna and had a few fine carp out of Lodge Lake up to 22lb using Sticky Baits Krill 16mm boilies. 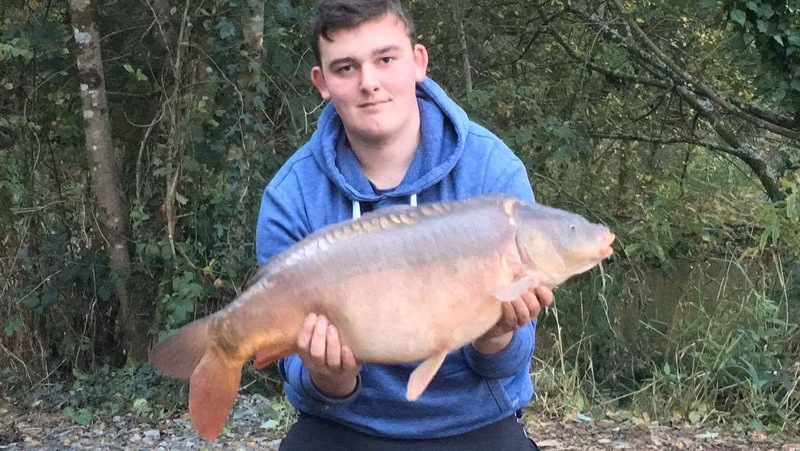 Harry Collins had 5 fish out in 24 hours fishing Beatties lake up to 21lb 1oz using cc moore live system and mainline cell boilies. 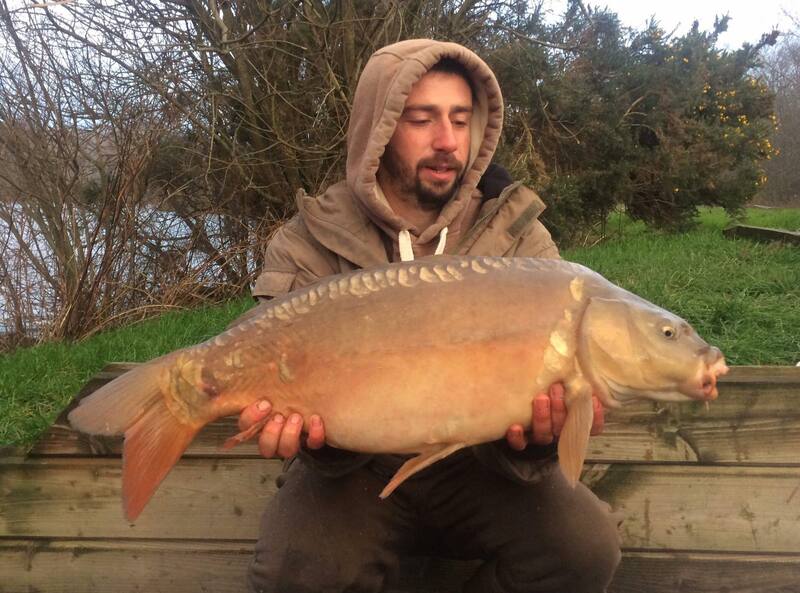 Joanne Combes keeps a steady stream of reports coming from Stafford Moor here are the latest catches from Lodge Lake. 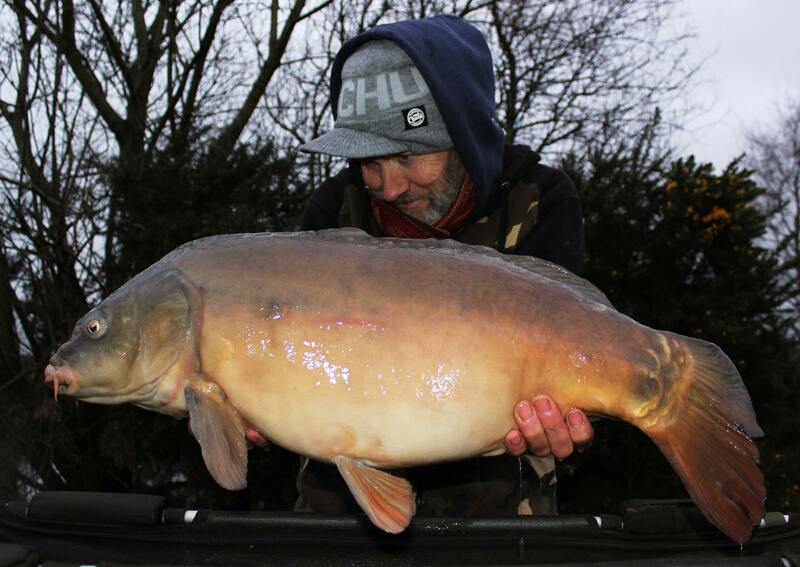 Lee Waring with one of his 26 catches yes 26 !! 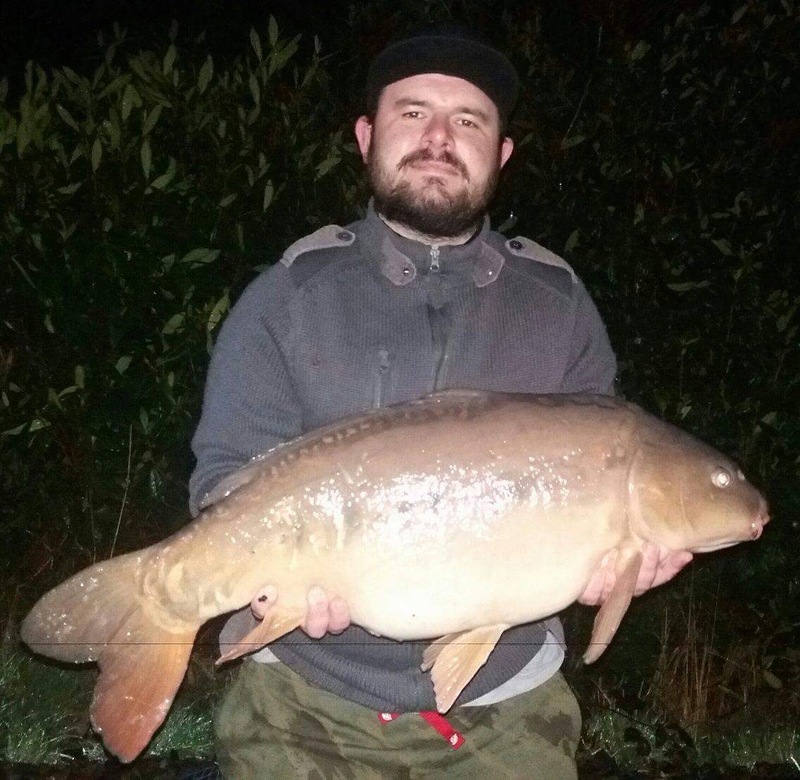 From lodge lake using mainline cell boilies with GOO (almond bait smoke ) up to 24lb he said if was his best fishing session he has ever had . He was here for 36 hours was gonna do 24 but don’t want to go home as he was in a roll !